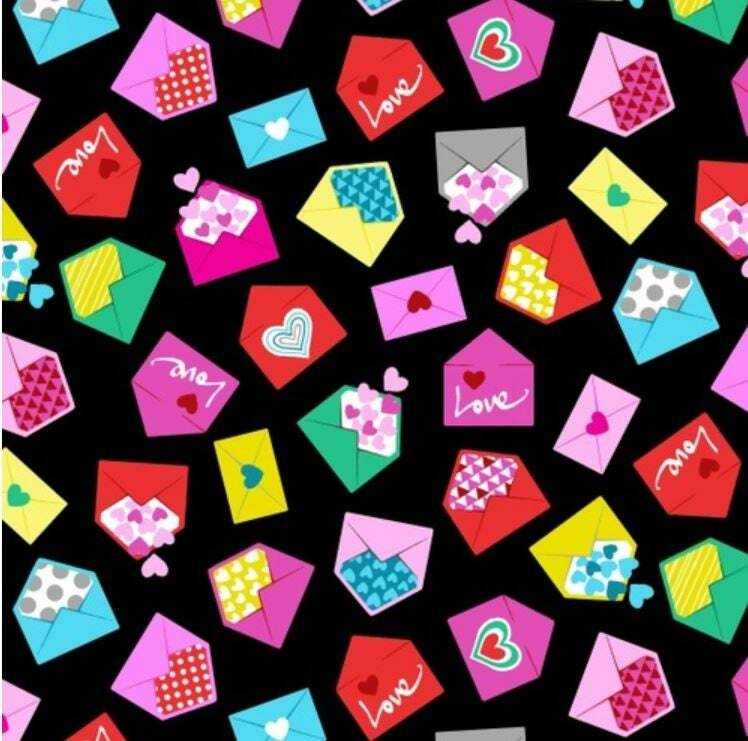 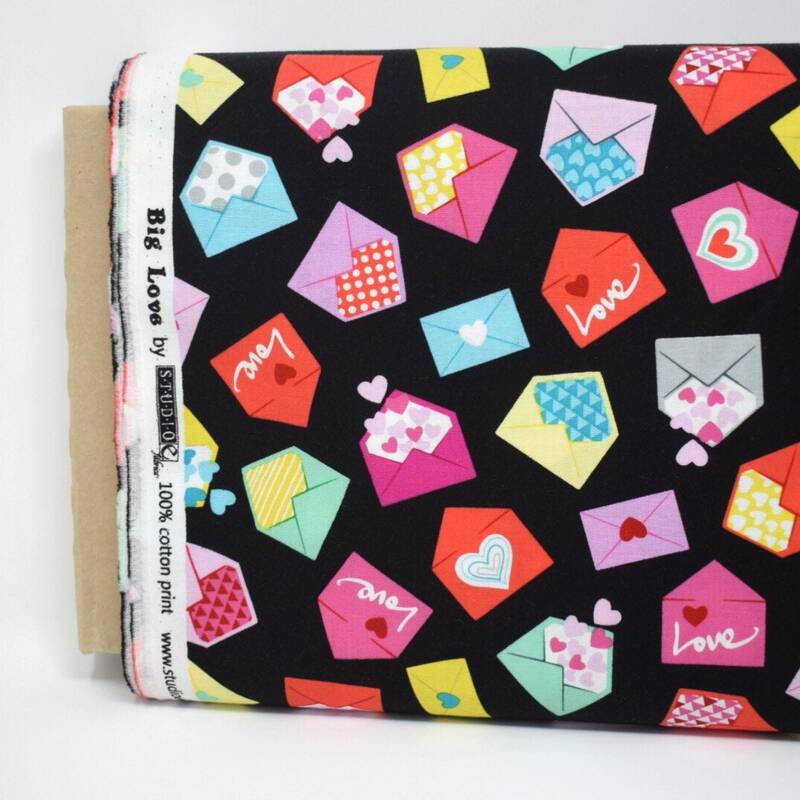 Love letters red hearts printed cotton from the Big love collection by Studio E fabrics. 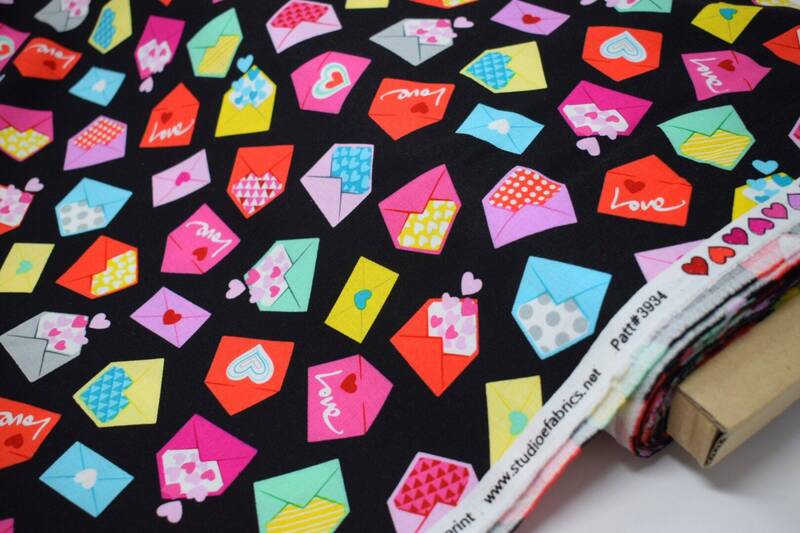 This striking 100% woven quilter's cotton is printed with multi coloured love letters and heart motifs. 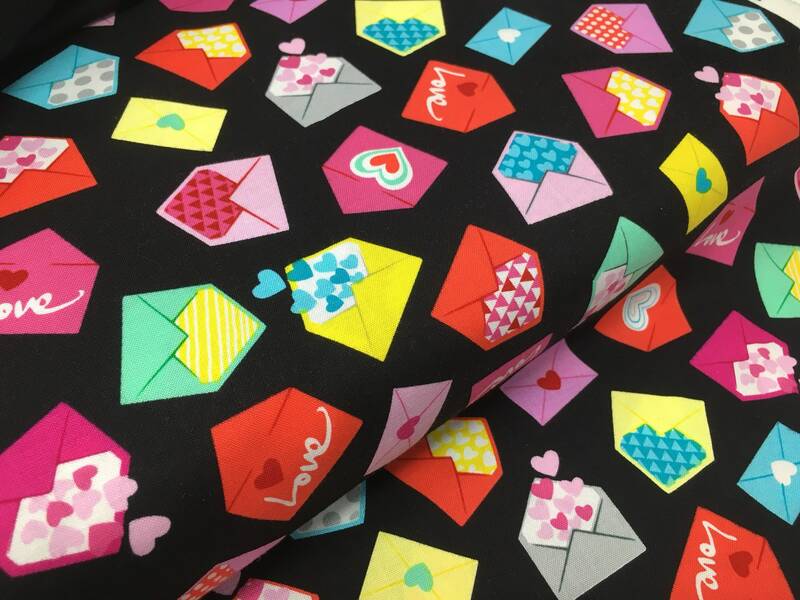 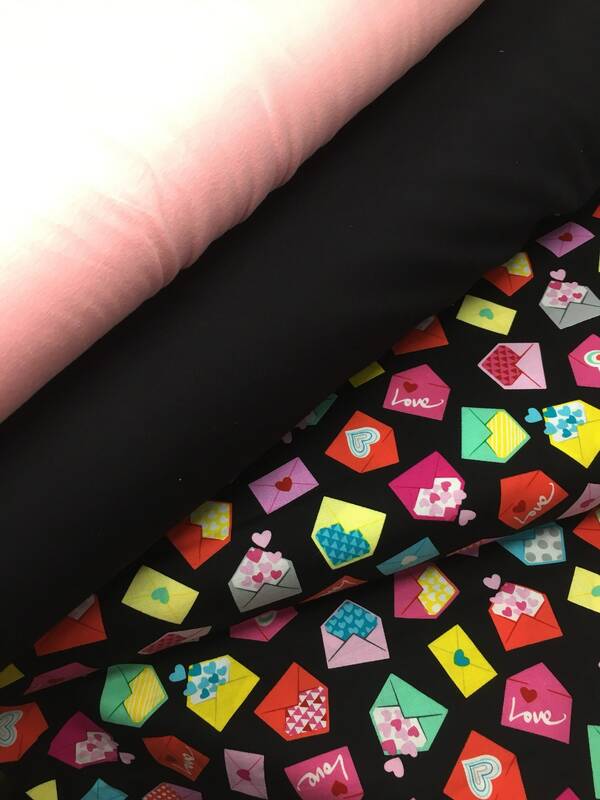 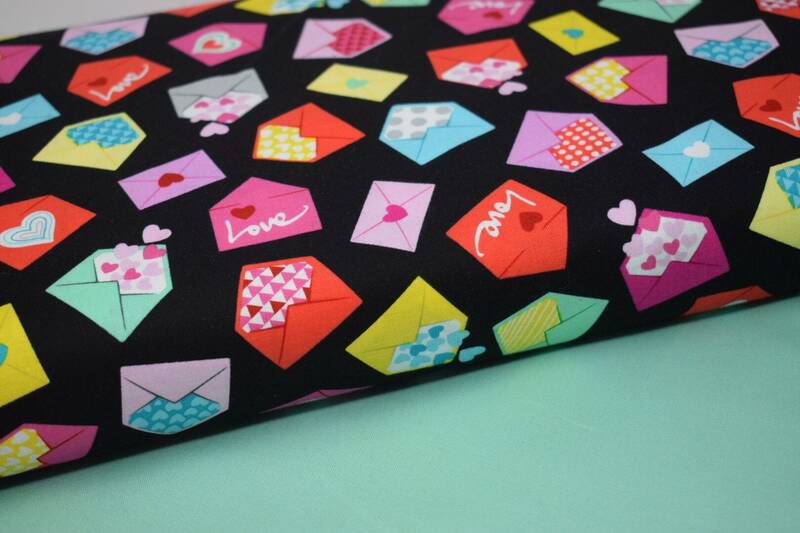 This fabric makes the perfect choice for Valentine's projects such as childrens wear. 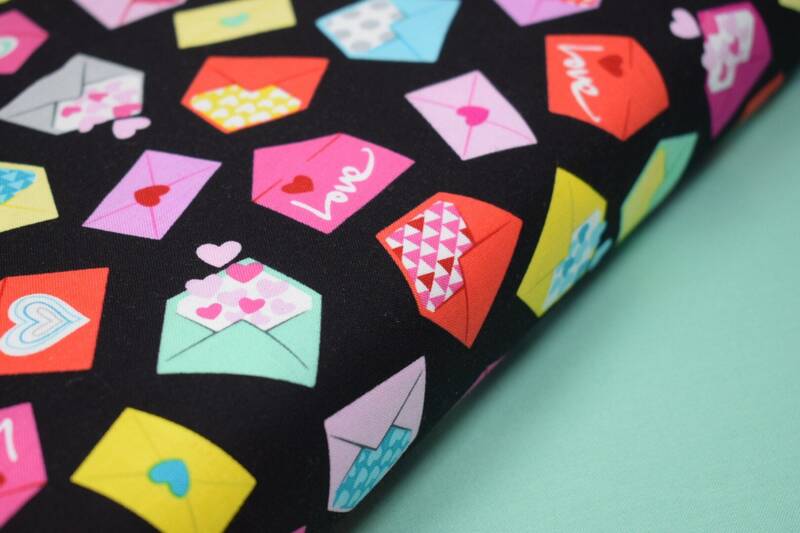 This beautiful printed cotton fabric is also perfect for quilting and craft projects too. 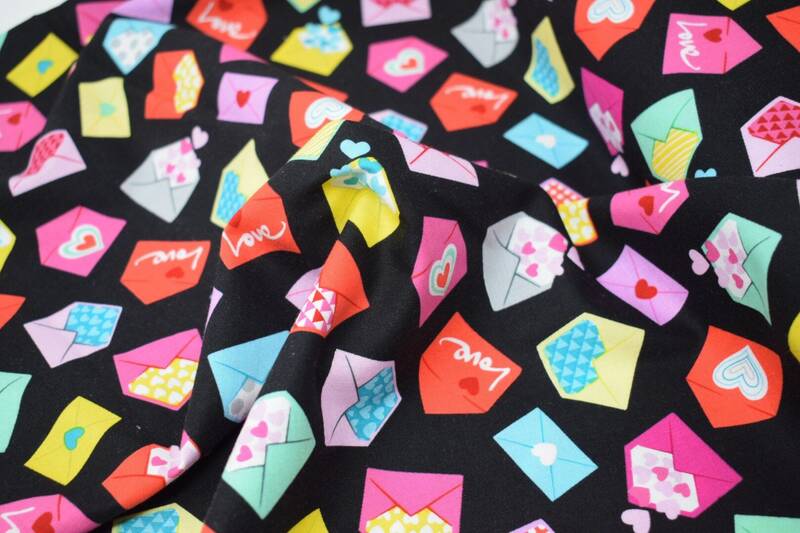 The fabric is approx 44 inches (112cm) wide and is sold by the half metre or metre. 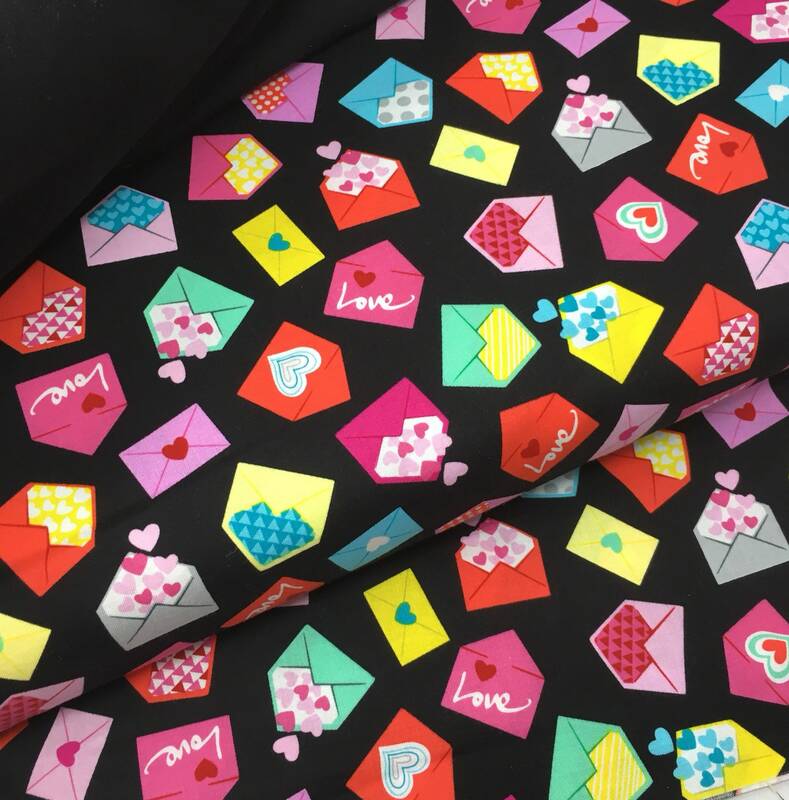 If you would like a different length please get in touch to request a custom order.